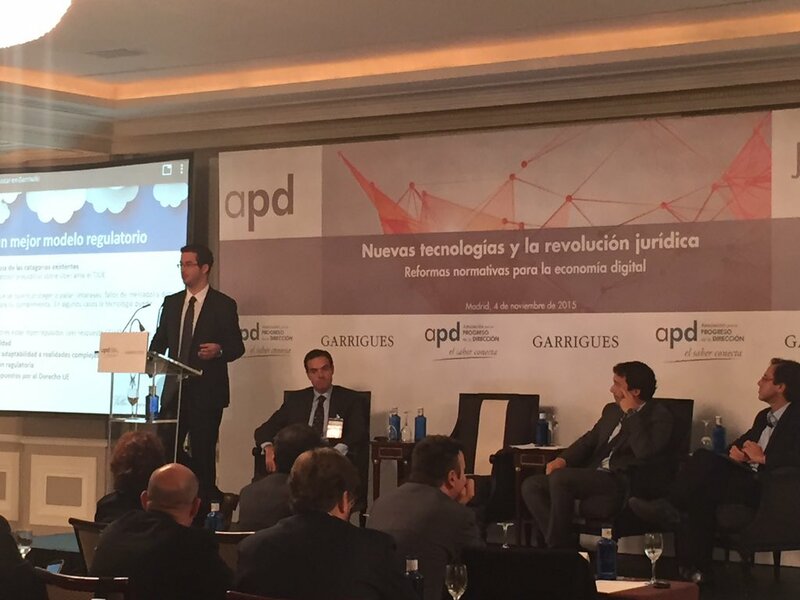 I spoke yesterday at this event in Madrid about the legal challenges brought by the sharing economy, and about how these can help us improve existing regulation in many markets. This is a topic that elicits very conflicting and sometimes passionate views, but, as I explained, without frictions between reality and the law there would be no progress (and much worse, no lawyers). The topic is not directly related to competition law, although it has much to do with EU Law and with the interaction between the law and the competitive process. It also has some links (althoguh less than it may seem) with a topic I will be discussing in Brussels in a few days: should online platforms be regulated? « Paul Nihoul proposed to be a judge at the General Court. Congratulations!